“This updated report details how out-of-control AOB lawsuits based on the one-way attorney fee continues to accelerate, driving up overall litigation and costs for policyholders,” said William Large, president of the Florida Justice Reform Institute. The Florida Justice Reform Institute points its finger at a handful of lawyers filing most of the AOB lawsuits, but it fails to connect the dots on at least one embarrassing and another ironic fact: Two of the most prolific filers of AOB lawsuits -- Malik Law Group and Hale, Hale and Jacobson (the firm of Florida Justice Association spokesman Lee Jacobson) are members of the Restoration Association of Florida, the very group that contends it is opposing AOB reform on behalf of consumers. "... A fifth of all property AOB litigation is filed by 5 firms representing 6 attorneys. In PIP AOB lawsuits, an analogous pattern is seen. It is worth noting that PIP AOB attorneys seem to be the most prolific lawsuit filers -- for example, a search in the DFS system for PIP attorneys demonstrates that one lawyer filed over 30,000 PIP AOB lawsuits in 2018." The report continues, "Confirming FJRI’s previous analysis of the shift from AOB starting in PIP and then moving to other coverages, there are several firms that do multiple types of AOB work. For example, the well-known Morgan & Morgan does AOB lawsuits for PIP, auto glass, and property, as does Hale, Hale & Jacobson (embarrassing) Other firms, such as Malik Law (ironic) and Emilio Stillo PA, work in at least two of these coverage areas, filing hundreds -- sometimes thousands -- of lawsuits annually." Find a copy of the new report HERE. At the heart of the AOB problem is the one-way attorney fee statute designed to give policyholders equal footing in disputes with insurers. Some vendors use AOBs to seize control of this special policyholder right, and then file expensive lawsuits based on inflated claims. Sometimes these lawsuits even happen without the policyholder's knowledge or consent. This lawsuit-for-profit scheme has become an incentive for trial lawyers and their vendor clients -- often water damage remediation firms or auto glass shops with aggressive marketing schemes. • For the eighth consecutive year, AOB lawsuits make up more than half of all lawsuits filed against insurers statewide. • In 2018, 18 percent more AOB lawsuits were filed than in 2017. • From 2008 to 2018, AOB lawsuits increased by over 900 percent, while total lawsuits in that same period increased just over 400 percent. • Five firms filed more than 20 percent of all property AOB lawsuits. Even worse, nine firms filed nearly 85 percent of all auto glass AOB cases. • In a troubling development, some lawyers are also setting up their own repair businesses, so they can profit from both the abuse and the lawsuits. • AOB lawsuits are still concentrated in a few Florida counties, raising questions about statistical probability. In 2018, almost half of all property AOB lawsuits were filed in Miami-Dade and Broward counties, while the vast majority of all auto glass AOB lawsuits were filed in Hillsborough and Orange counties. "While Florida is a growth state, AOB lawsuits are growing much faster than the population, going from little more than a few hundredths of a point as a fraction of Florida’s population to nearly a full three-quarters of a percent now," said Kalifeh. 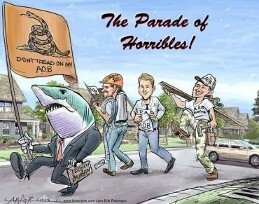 "Unfortunately, rampant AOB lawsuits threaten our confidence in the state’s legal climate," said Large. "The Legislature can help the people of Florida by standing up to the trial lawyers and passing meaningful AOB lawsuit reform." 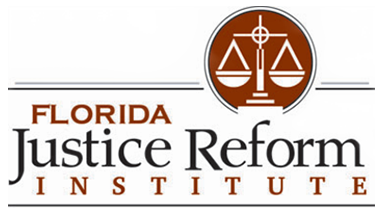 The Florida Justice Reform Institute was created in 2005 to fight wasteful civil litigation through legislation, promote fair and equitable legal practices and provide information about the state of civil justice in Florida.